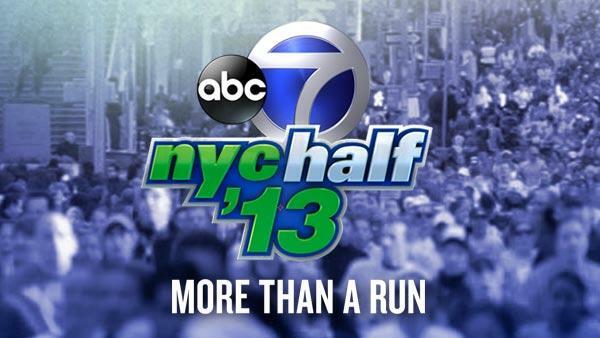 Last year, NBC surprised me by actually covering the NYC Half Marathon. Running is so invisible on television that I'm thrilled whenever it is shown. Still, I was critical of the 2012 broadcast because the NBC folks failed to make the event interesting for viewers. It so happened that both the men and women's races featured two runners fighting it out for the win, while the rest of the field followed far behind. NBC had a chance to cover the experience of fifteen thousand people, but it barely covered four. 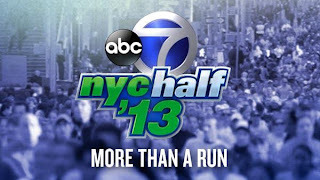 This year, it was the local ABC affiliate that covered the race. I was hoping that, this time, the focus would be on the event, not just the lead runners. Unfortunately, channel 7's execution was just as disappointing as last year's. 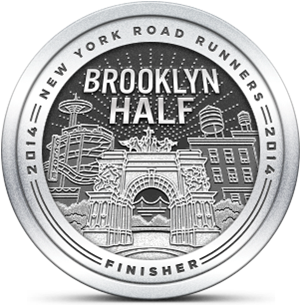 Races like the NYC Half are rare, because they are both a spectator event and a shared experience. If there were 15K people on the course, there were undoubtedly more than 100K friends and relatives looking for them during the race. Not only were 99.99% of participants ignored, the elite runners who finished second and third were barely acknowledged. I thought about the race as I ran my distance on the treadmill this morning. With so many knowledgeable people writing for running magazines, websites and blogs, the opportunity to hire compelling broadcasters is there. Think about the level of detail and background that's provided by qualified announcers for every MLB, NBA and NFL game. Today's race announcers were so inept, they didn't even know the names of the two elite women who were bearing down on eventual winner Caroline Rotich as they approached the finish line. Running will never gain traction on television unless the networks commit to treating the sport like an event, instead of a news story. People won't tune in if the coverage is dull and the focus is so narrow that they'd be better off skipping the broadcast and waiting for the recap to be published. If channel 7 had given me the mic this morning, I would have done it a whole lot differently. Oh, I bet you would have! You've got to know somebody who knows somebody who can suggest a covering of the race from an everyday runner's POV. You can surely present it as a way of getting more viewers if it were advertised before hand. I'm sorry I wasn't there. I know some people who were. I'm definitely going to try for next year! I'd be happy with an announcer who actually knew the runners and could provide back stories and strategies for running the course, etc. I'd like to run the NY Half sometime as well. I've spent many hours running around Central Park and down the West Side Highway bike trail. It would be cool to run that course as a race. I totally agree! I love watching road races and wish they had more coverage on TV. I love watching the elites because it's really just unbelievable to me that people can make running that fast look so easy. At the same time, I would love to see more of the regular Joes and Janes getting some coverage too. People everyone else can relate to. With marathoning becoming so popular these days, you'd think they'd be able to find a commentator out there with a clue who's interesting...like you! Someone give you the mic! Thanks for the votes of confidence. I'm considering restarting the Emerging Runner weekend video reports (yes they're out there). The US has 20+ million people who consider themselves runners and the running shoe market alone is close to $4 billion. That should be enough incentive for media companies to bring running to television. Perhaps I will need to do that myself. Maybe I should do a Kickstarter page. Here's a hint: Google emergingrunner "video report"